Global Affairs Canada has confirmed at least one Canadian diplomat in Cuba and the diplomat's family were treated in hospital after suffering headaches and hearing loss. The information comes a day after the U.S. said it believed its diplomats had been targeted with a sonic device. Global Affairs Canada has confirmed at least one Canadian diplomat in Cuba has been treated in hospital after suffering headaches and hearing loss. The information comes a day after the U.S. government said it believed some of its diplomats in Havana had been targeted with a covert sonic device that left them with severe hearing loss. The Canadian diplomat's family members were also affected and treated. "We are aware of unusual symptoms affecting Canadian and U.S. diplomatic personnel and their families in Havana. The government is actively working — including with U.S. and Cuban authorities — to ascertain the cause," said Brianne Maxwell, a Global Affairs Canada spokesperson. "At this time, we do not have any reason to believe Canadian tourists and other visitors could be affected," Maxwell added. Global Affairs did not identify the diplomat or say when the hospitalization took place. An investigation is focused on identifying the technology used as well as who was using it. 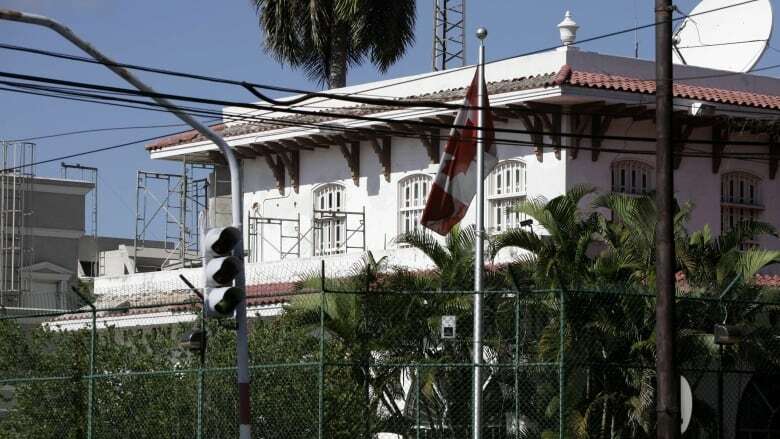 The Associated Press reported Wednesday that a months-long U.S. investigation had determined its diplomats had been attacked by a device that operates outside the range of normal audible sound, and used outside or inside the diplomats' residences. U.S. State Department spokesperson Heather Nauert would not confirm the number of U.S. diplomats affected or the severity of their symptoms, saying only that they had "a variety of physical symptoms" that had caused some to return to the United States. She said the U.S. government first learned of the incidents in late 2016. Nauert said the United States expelled two Cuban diplomats in retaliation on May 23, saying while the U.S. didn't have a definitive explanation for the incidents, "the Cuban government has a responsibility and an obligation under the Geneva Convention to protect our diplomats." The Cuban government issued a statement on Wednesday, calling the expulsion of its diplomatic staff "unjustified." "Cuba has never permitted, nor will permit, that Cuban territory be used for any action against accredited diplomatic officials or their families, with no exception." The statement said Cuba was launching a "comprehensive, priority and urgent investigation." "Cuba is universally considered a safe destination for visitors and foreign diplomats, including U.S. citizens," it said. An official at Global Affairs Canada, speaking to CBC News on background, said Canada is not at the point where it is ready to take reprisals, since the investigation is ongoing and it is too early to conclude the Cuban government was behind the incidents.